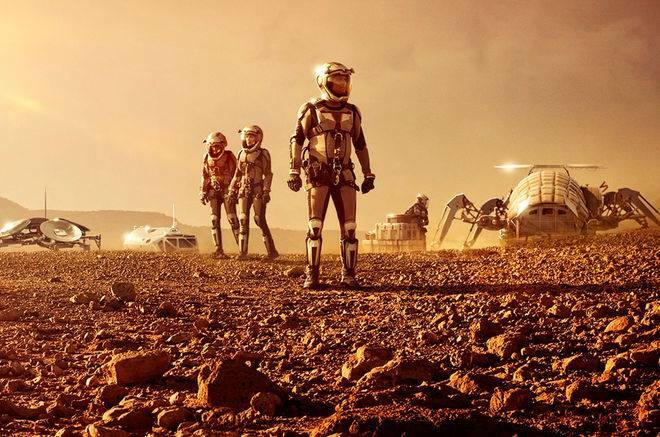 As part of the 20th Annual International Mars Society Convention, scheduled to take place at the University of California Irvine (September 7-10), a panel discussion involving four major science fiction authors has been organized to examine the human future in space and the role science fiction plays in its planning and direction. Larry Niven, a science fiction author and script writer for several science fiction-based television series. The 90-minute panel discussion is set to take place on Thursday evening, September 7th on the UC Irvine campus. “This is going to be a gathering of some of the greatest science fiction writers of our time to discuss how humanity will plan and reach its goal of exploring and expanding into the solar system and beyond, ” declared Mars Society President Dr. Robert Zubrin. For more details about the 2017 Mars Society Convention, including the confirmed speaker list, please visit our web site (www.marssociety.org). Registration for the four-day convention and Saturday evening banquet is available online (please note that discounts for early bird ticket sales end on Friday, June 30th at 5:00 pm MST).